The festival origins go back to the 14th Century uprising against the Mongols. The rebels smartly wrote the call to revolt on pieces of paper and hid them in pastries that they smuggled to compatriots. Today, during the festival, people eat those special pastries known as "Moon Cakes". They are made of ground lotus, sesame seed paste, egg-yolk and other ingredients. Along with the cakes, shops sell colored Chinese paper lanterns in the shapes of animals, and more recently, featuring popular cartoon characters. On this family occasion, parents allow children to stay up late, prepare a special meal and take them to public places to light their lanterns. Hong Kong lights up with thousands of lanterns in all colors, sizes and shapes. We happen to be shooting in the Opera House when we were told Jackie Chan was going to rehearse for the opening ceremonies. 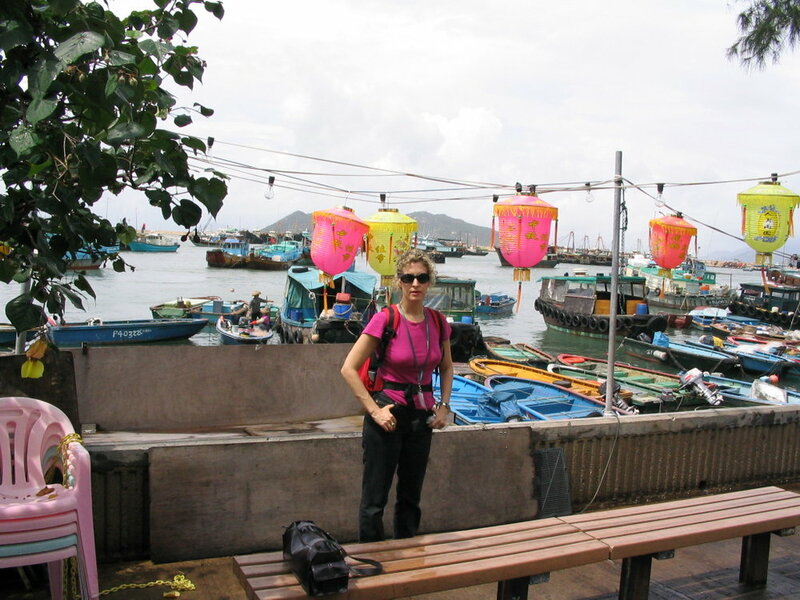 Exploring magical Hong Kong: Visits to the giant Buddha on Lantau island, a sampan driver in Aberdeen among traditional house boats, Chueng Cheu, a charming Island where cars are forbidden and Tai O village where all the homes are built on stilts. Autumn season brings believers to Wong Tai Sin Temple where locals make offerings for the Moon festival. Tai Cheong Bakery is very famous for it's egg tarts. The last British Govenor of Hong Kong had to have one before he left town for good. For Culinary Delights we will explore a Kowloon tofu factory to learn about this ancient custom of the East along with street market stalls with their unique variety of dried sea food. Dim Sum is famous in Hong Kong and Sigal tries chicken feet, Marc the head. We also visit the famous a very typical Tai Chong bakery for its incredible egg tarts.